DWitte had the most liked content! 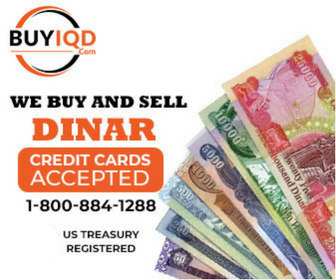 Watching Dinar News Pretty fun, huh? I just tuned in after a long absence from this site. Nothing against anyone but I needed a break. Got away from all the news too but since my Pats won yesterday, it's time to look up some old friends. And I see my best friend Davis is still around. So, Adam, I liked your explanation of things and would like you to engage another thought. Can you put out a piece on where we should stay in Belize and the best places to eat. Since it looks like we're all going soon, maybe it's time to prepare some more. The Animal is back. I'll go to the end of the line. And I hope it's a long, long, long one. Hahaha Merry Christmas my Canadian friend. Yeah, what He said. Or She. I bet that's not all you have. Is Abadi still going to be the PM? Hard to figure out what really happened. Mailman - SHABS SAID WHEN THE DINAR HIT THE MARKET THE INITIAL RATE WAS TO BE ON PAR WITH THE DOLLAR ! Weekly update is seven (7) words. How many is the pre-prepared RV text? Hopefully it's only three (3). Maybe we could have a contest. Let's do a survey. Everybody chime in. DW Leave it alone davis. As President you are restricted from participating since you have to officiate. BTW, does anyone know who the Red Baron is??? Anyone want to send a Tweet??? It can ruin your life and it will only take a minute. BTW, again, I have never had a Twitter account. Guess why. You have to find the "All seeing eye" first and then you can answer the riddle.